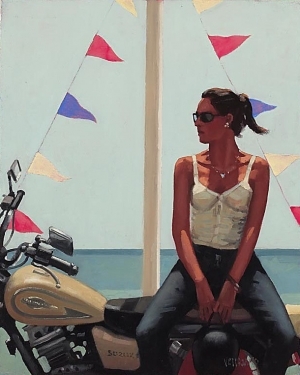 Born in Fife, Scotland in 1951, Jack Vettriano left school at sixteen to become a mining engineer. For his twenty-first birthday, a girlfriend gave him a set of watercolour paints and, from then on, he spent much of his spare time teaching himself to paint. 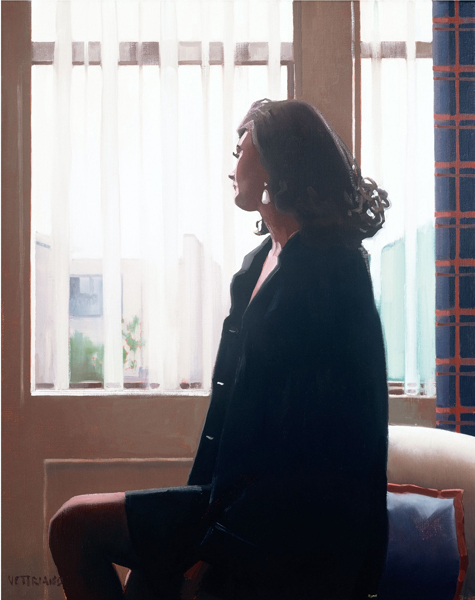 In 1989, he submitted two paintings to the Royal Scottish Academy’s annual exhibition; both were accepted and sold on the first day. 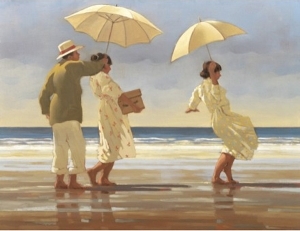 The following year, an equally enthusiastic reaction greeted the three paintings, which he entered for the prestigious Summer Exhibition at London’s Royal Academy and his new life as an artist began from that point on.Over the last twenty years, interest in Vettriano’s work has grown consistently. There have been sell-out solo exhibitions in Edinburgh, London, Hong Kong and New York. 2004 was an exceptional year in Vettriano’s career; his best known painting, The Singing Butler was sold at Sotheby’s for close to £750,000; he was awarded an OBE for Services to the Visual Arts and was the subject of a South Bank Show documentary, entitled ‘Jack Vettriano: The People’s Painter‘. 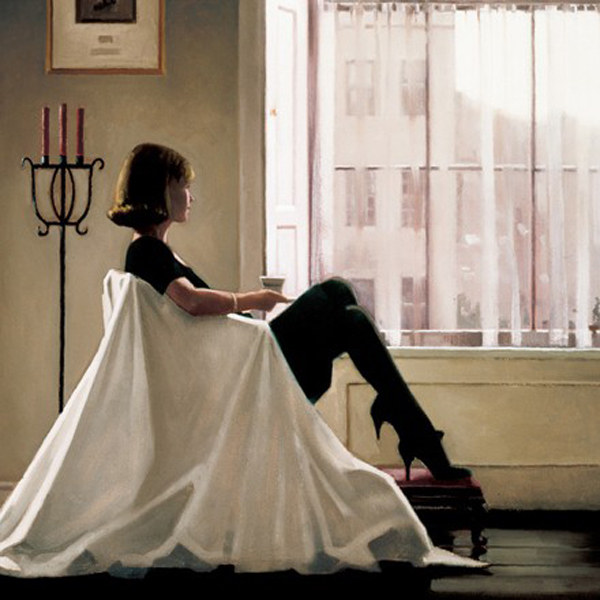 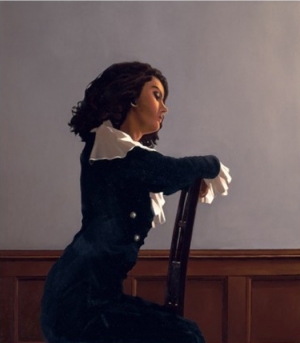 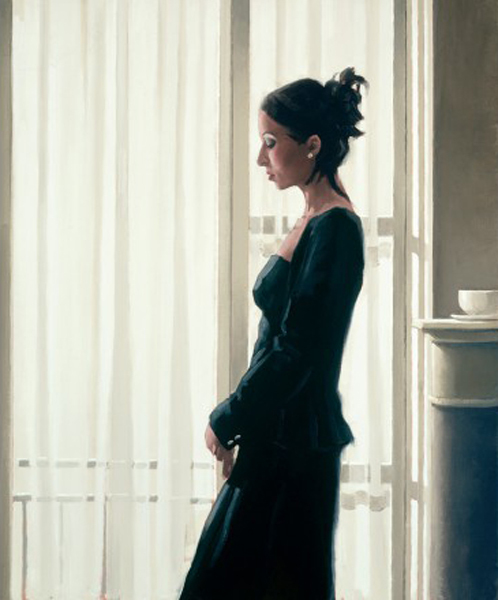 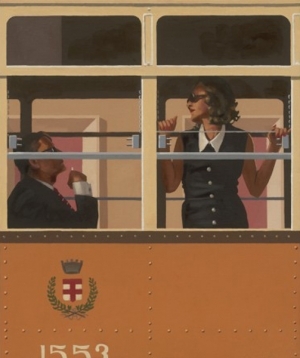 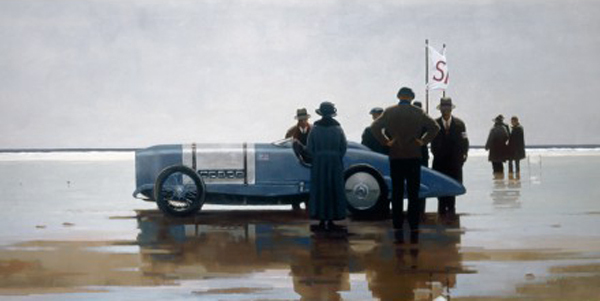 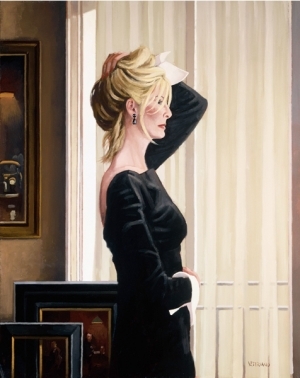 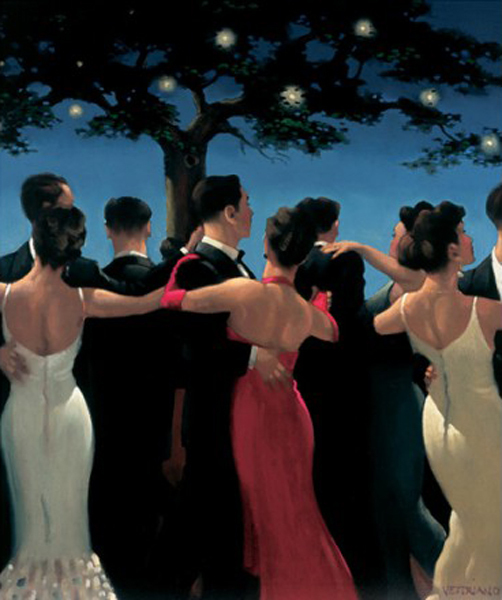 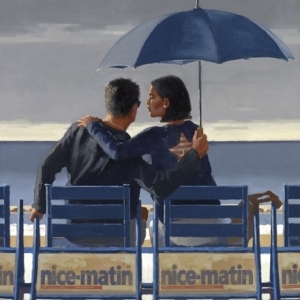 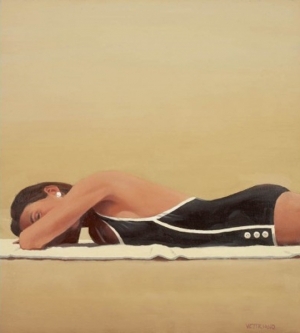 From 1994-2007, Vettriano was represented by Portland Gallery in London but the relationship ended in June 2007. In 2008, Vettriano undertook a variety of private projects, including the launch of a new book, Studio Life, and commissions to paint portraits of Sir Jackie Stewart and Zara Phillips, the latter of which was part of a charity fund-raising project for Sport Relief, the experience of which was captured in a documentary broadcast on BBC1 in March 2008. 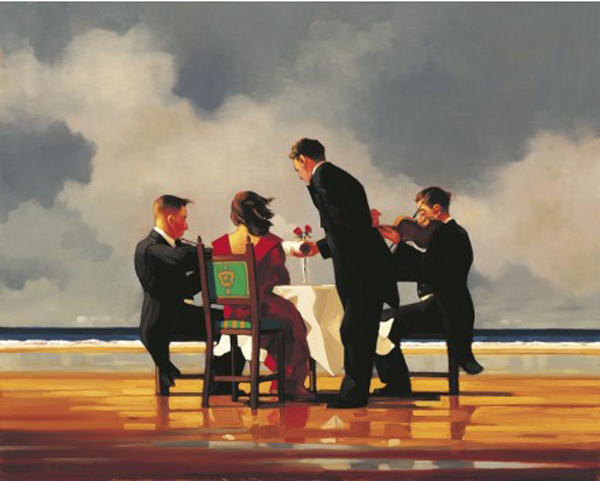 In 2009, Vettriano was commissioned by the Yacht Club of Monaco to create a series of paintings to mark the centenary of their world famous yacht, Tuiga. The subsequent exhibition, ‘Homage a Tuiga‘, premiered in Monaco as part of Classic Yacht Week in September 2009, before touring to the UK in 2010.In 2010, an exhibition of over forty new paintings, ‘Days of Wine & Roses‘, was officially opened at the Kirkcaldy Museum & Art Gallery in Fife, by First Minister, the Rt Hon Alex Salmond SNP. 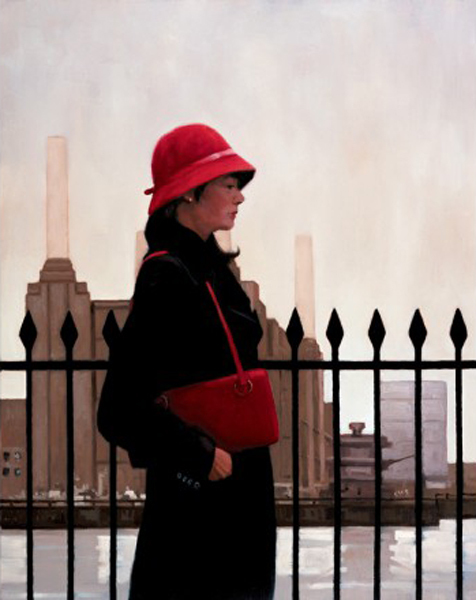 The exhibition then toured to London, opening at Heartbreak in September 2010. 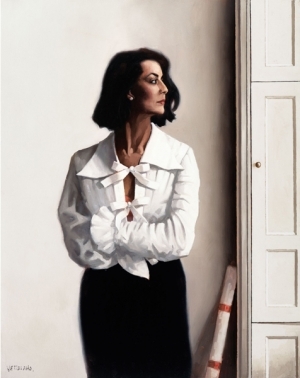 In December 2011, Vettriano’s self-portrait, ‘The Weight‘, went on long-term display at the Scottish National Portrait Gallery in Edinburgh, when it re-opened after a major three-year refurbishment programme. 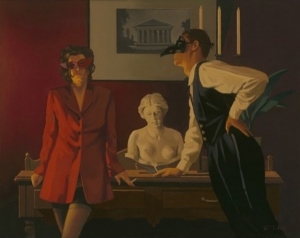 A major Retrospective exhibition to mark 20 Years of Vettriano’s career, opened at Kelvingrove Art Gallery & Museum, Glasgow on the 21st September 2013 and ran until 23rd February 2014. 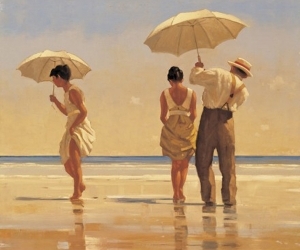 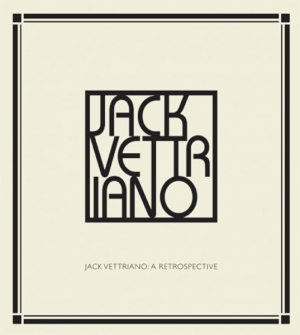 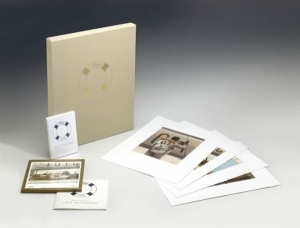 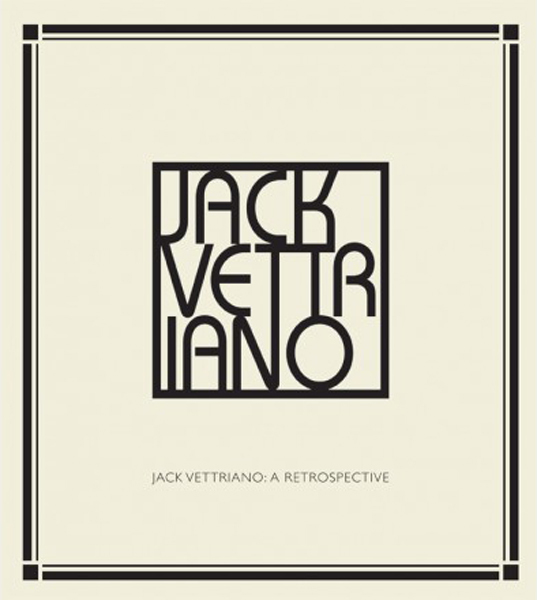 In April 2015, Vettriano established his own publishing company called Jack Vettriano Publishing Limited.